Explore the whole of Neopia!!! 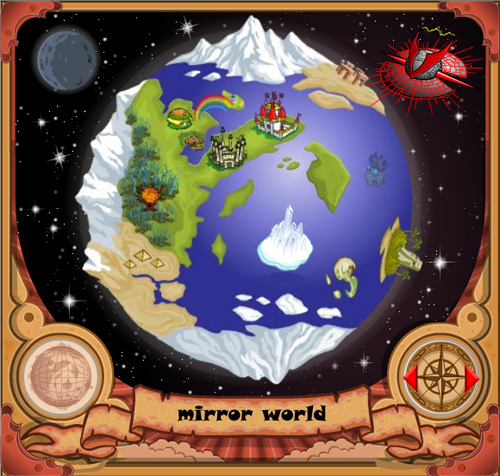 Welcome to Mirror World... created in Year Six by Fyora, Mirror World is used by the Neopets Hive to host plots and contests. A giant castle in the sky, full of games, puzzles, and faeries galore. Poogle Races take place every 15 minutes! Also check out the secret hidden tower... if you can find it!